Since the recent hints of some very exciting changes upcoming on the website and the weather also getting terribly cold outside, I thought I would give my lovely readers something to keep them toasty (get it?? I love my awful brunch puns!) before the big reveal. So for my next big project, I’ll be running a HGAT brunch series with a competition alongside it!! I’ll be posting every day for five days about some of London’s best (and possibly worst) brunch venues, and the winner will be able to choose one out of these five restaurants where they’ll be able to dine at using a £50 voucher. 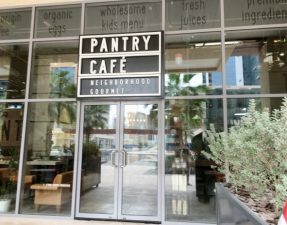 Hold onto your tastebuds for some sensational burgers, a variety of poached eggs, and much more brunch related nibbles. I want you guys to be very involved so if you have any suggestions on brunch places you’d like to see featured on the blog in the future, please do let me know either in the comment section below or via email. For the competition details, please read the bottom of the post. Happy eating! Having visited Guanabana for dinner before, I wasn’t quite sold on their food – maybe I had ordered the wrong items or they could possibly have been having an off day. I also vaguely remember their service being poor. Either way, it became a place that I would not go out of my way to visit again. 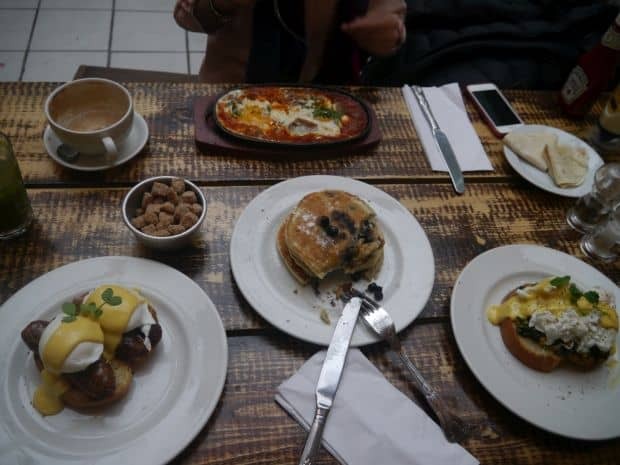 However, it was brought to my attention that they offered a delicious brunch menu consisting of poached eggs, flaky pastries, full English breakfasts etc, I sucked it up, grabbed two friends, and made the long journey to Camden. We were seated in what seemed like a canteen style arrangement with a glass roof so that the natural light could flood the room. This was a different half to the dark, cosy main dining restaurant on the other side but it made a nice casual atmosphere in which people could sit and tap away at their laptops while grabbing a coffee. Guanabana’s menu was vast with a South American twist with items such as a full Colombian breakfast, Mexican beans on toast, and chorizo. It took us a while to decide on what exactly to order but we finally settled on some tasty dishes. 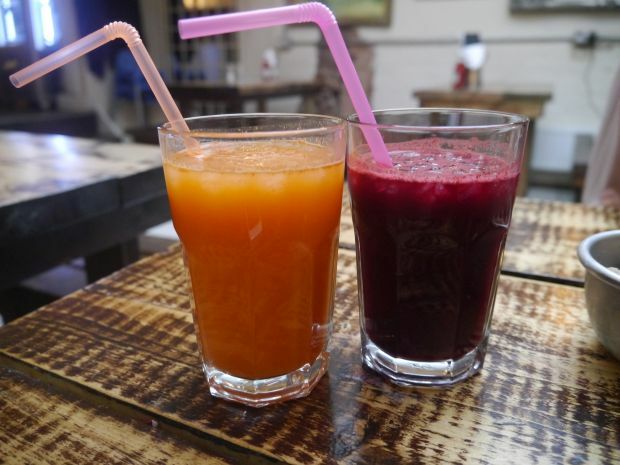 On the right is the Purple Crane made of beetroot, apple, cucumber, and carrot. On the left is the Hidden Dragon made of orange, apple, ginger, and carrot. This was my favourite out of the two. 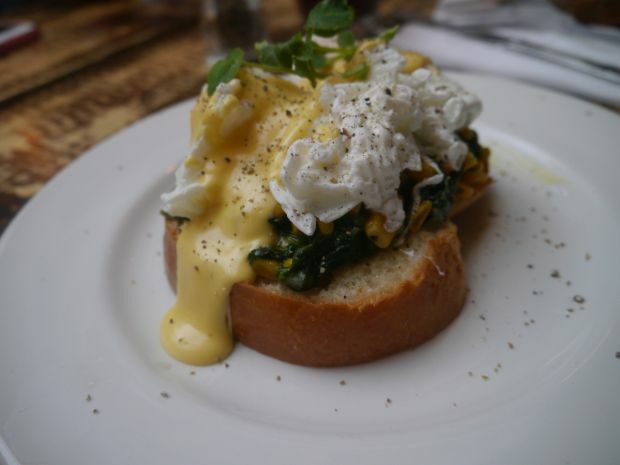 Eggs Benedict is typically off-limits for Muslims because the original version uses ham and so we settle either on the salmon or spinach substitutes. I was quite excited to be able to order this with the beef bacon instead although it wasn’t available (at 2pm on a Friday), so I opted for a different version with beef sausages instead. What arrived was everything that I had expected except that the poached eggs could have been runnier. The brioche toast used underneath was soft but not so much that it became soggy and it was able to withstand all the components on top. 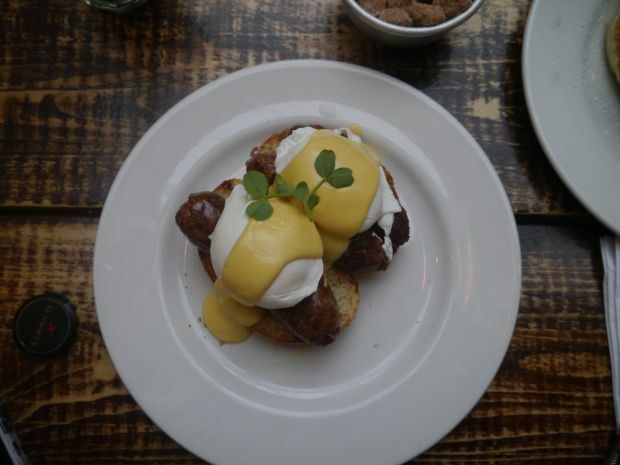 The beef sausage was cooked perfectly with the right amount of squidge every time you took a bite, and the hollandaise wasn’t too rich either. This really was a good, comforting dish but I’m still curious as to what the beef bacon would taste like. I had originally asked for this in my poached eggs but they had given me beef sausages instead and this as a side dish (which I didn’t ask for). 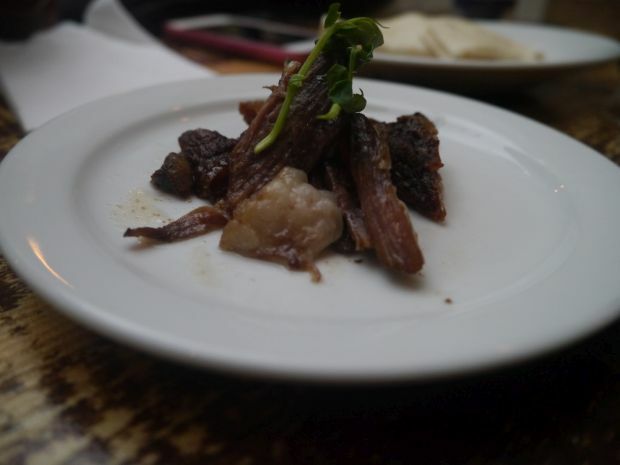 The pulled beef consisted of delicious shreds of slow cooked beef which was served with pieces of fat that didn’t look very appetising, and I couldn’t bring myself to try it. This would have also made a good substitute in the poached eggs instead of beef bacon or sausages had it been served warmer. Of course to all us meat lovers, this is a dish we would look over in the menu and head for the more meaty dishes, however *gulp* this may have been even better than the beef sausage I had ordered. The sweetcorn and spinach were intensely flavoured, especially since spinach is bitter, and sat atop a buttery, thick brioche toast. 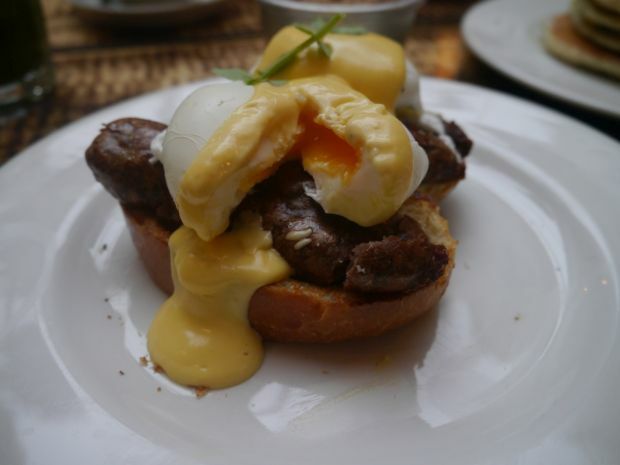 The bread was able to mix in a subtle sweetness to the velvety hollandaise and eggs. 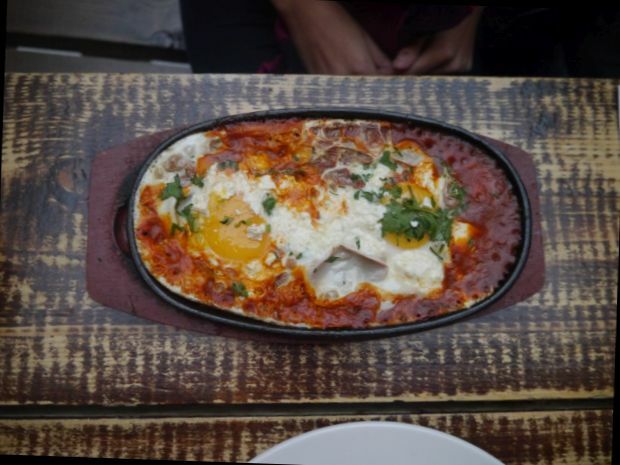 A dish that consisted of poached eggs sitting in a pool of herby tomato sauce, bubbling feta cheese, a handful of coriander, and served with tortilla slices. The feta cheese added a creamy, rich taste to the tomato sauce and the gooey, runny eggs. 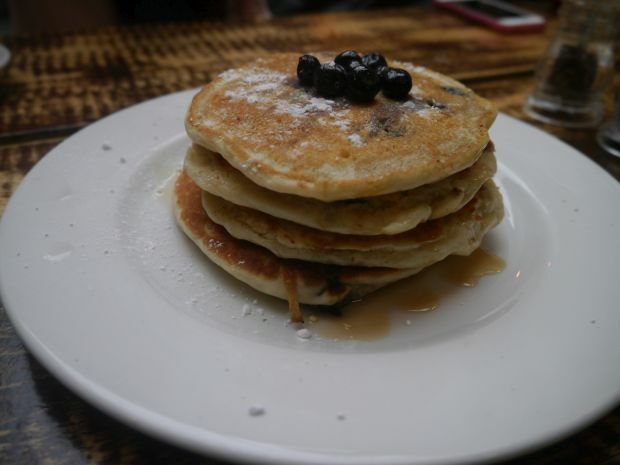 Medium-sized fluffy and sweet pancakes arrived stacked on top of each other and with tangy blueberries evenly distributed throughout so that every bite burst with blueberry juice. The maple syrup drizzle added a delicate sweetness to the pancakes. I’m not one to pick on small things, especially with service, but from taking orders completely wrong to having to get up to find a waiter, one thinks as to how a restaurant can survive with such appalling service. After having to deal with a waiter who was too proud to repeat our order, we ended up being delivered items either wrong or for takeaway (which was also incorrect), and then waiting for up to half an hour to receive our food, I became fed up. Not only is it poor during the evening shift, it seems it is not any better in the day time, so to Guanabana, please work on your service! Your food is worth the visit but your service is a big damper!! In total, the bill arrived to £37.30 for three excluding service plus one of our drinks was removed from the final amount for being the wrong order. At around £12 each with a generous portion of food per person, this was a good for value meal. Having been hesitant to revisit after my dinner there before, the breakfast really pushed past my low expectations and has made me a big fan of their food! Let’s just hope their service improves so I can become a regular breakfast goer. Halal status verified by Muslim owner. 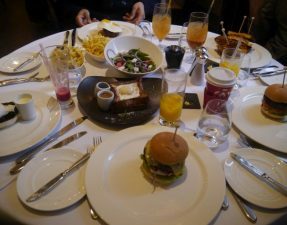 As I will be visiting five brunch places, the lucky winner will get an opportunity to win a £50 voucher to take their other half, best friend, and mum etc, for a delicious brunch at any restaurant of their choice out of the five! All you have to do is answer this simple question and you will be entered into the draw to win this amazing prize. So, are you all ready?? Leave your answer, name and email address in the comments below and I will pick one lucky winner at random. As well as leaving a comment, liking this post on the facebook page, retweeting this link on twitter with #HGAT, or posting this page on Instagram tagged @halal_girl or #HGAT, will get you an extra entry! The competition closes on Tuesday 2nd Decemberat 5pm and the winner will be announced shortly after. Be sure to share with your friends on facebook, Instagram, and twitter! It can only be Soldiers! There is a place I would like you to do a review on. 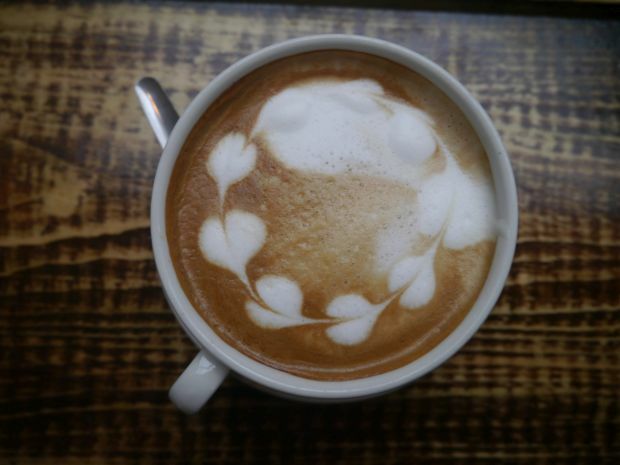 You probably heard of it already and may have done a review but I can’t see it on your blog. If you email me I will email you the link. I have not been as yet as I just don’t have the time, but our foodie expertise opinion does count.